And by simple backgrounds i mean something like in my other drawings, like a Forrest, space, patterns, ect. If you dont have a reference sheet, or any picture to use as a reference, and just give me a written bio/description there will be an additional $5 fee, but along with that you'll get a traditionally drawn pictures as well, this is because i have to draw the character first, and work out any details, and fix anything on the design, and get your approval, before i can draw the piece you wanted digitally. Anything I draw for you, you may upload anywhere as long as you Credit me, this is a must, please! And my drawings may not be sold without my permission! 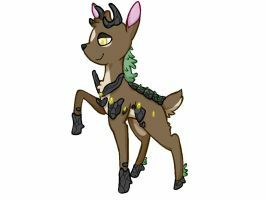 (Like if your selling a character or are going to make a T-shirt or something, just ask first! Edit: I edited the prices some cause I realized how much the PayPal fee's were taking, and that I usually spend 3 hours on a picture. Ayyy, I know you just got back and all, but I've been wanting to commission ya again for a while. You open, by chance? Hey there Drizzle! Any chance I could snag a Derp Doodle from you? So I totally just bought some points for another commission cause I didn't have any, and I have a bunch left over so I thought I could come commission you again, if you're available? c: I'd be wanting a Derp Doodle this time. If you don't mind, I'd love the upgrade! Aw what the heck, you did such a great job with my last two commissions that I'd love to get another one from you! 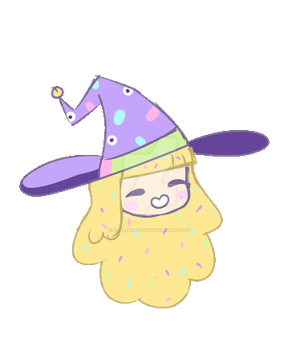 Another chibi, if possible? With his bandana on, please! Perhaps him in a fighting pose at some sort of mountainous/rocky area? Sounds good~ I'll go ahead and send my payment over. Ah, well, turns out I got to go home early from work, so I finished it today, haha! Any chance I could snag two Chibis from you? I'd be paying in PayPal this time. Sorry for the super late reply! And Yes, thatd be great! No background, pose is up to artist's discretion. As for expressions, how about Kovik with a devious/smug look and Lillian with a happy look? Im almost done with Lillian's, I'm trying to think of a background. Could you tell me a bit about the character please? 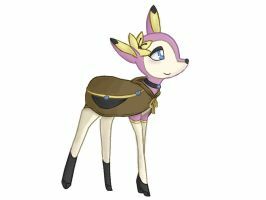 She's a sweet mommy Deerling. Loves her kids, but can occasionally be sassy. She's actually married to Kovik. Im so sorry about the wait. We had two people at work quit at the same time so ive been filling in their shifts. I was thinking maybe a forest background for her, or is there a better place she would be? 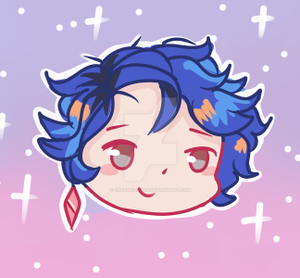 Can I get a chibi of sta.sh/2innn9e9av? As for pose, could she be holding her right ankle in pain somehow? And what kind of background? Yay! ^^ I'll do my best! How much would a derp doodle be in points? Alright! 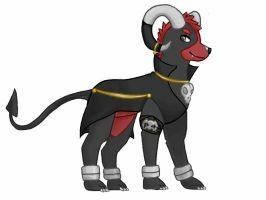 In that case, could I get a derp doodle (fullbody) of my Fakemon boy Tepes? Is there any kind of background you'd like? I have no preference, so I'll leave it up to artist's discretion. Okie dokie, Ill try my best! I'm guessing they're probably not still open, are they? Wow I kind of poofed of my DA. Sorry about that. Would I be able to get a sketch, a chibi and a derp doodle? What would you like each one to be of? And what kind of pose? It would be of my otter. And would you hate if I said go nuts? I'm pretty much good with whatever and I just like seeing what people do. She's usually a pretty happy, easy-going otter. My only pose/suggestion would be the derp one involving a crab or octopus or something stuck on her hand. Haha, that does sound funny! And ohmygrrr shes so cute!!! I'll be happy to! It'd be $9all togethee for all 3, is that okay? And that's great. Where do I send the money? Note: I can only draw on certain days. I do my best to get your piece to you ASAP. Should I run into some issue, e.g. health problems, an emergency, being swamped with IRL work, etc., I will let you know. 10% discount for returning customers! Ask me about trades. But please don't be offended if I decline, I'm just hella picky with art styles and only trade with people who are around my level or higher. If you wish to order something, please fill out the form[s] at the bottom of this journal! complex characters cost 50 extra points.